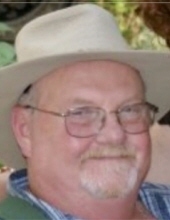 Thomas E. Demers, 70, passed away Thursday, March 28, 2019 at home in Mapleville, where he lived for many years. He was the husband of Arabella (Fenley) Demers whom he married June 16, 1968. They had just celebrated 50 years of marriage. Born in Woonsocket, he was the son of the late Lester E. and W. Rose (St. Amant) Demers. Tom worked for the former Remington Lumber Company of Oakland for 25 years, then for the Burrillville Middle School for many years, retiring in 2011. He was a Fire Commissioner for the Oakland-Mapleville Fire Department for 47 years. Besides his wife, he is survived by two sons: Keith T. Demers of Oakland and Jonathan D. Demers Sr. of Mapleville; a sister, Peggy A. Franklin of Harrisville; five grandchildren and one great grandchild. He was the brother of the late Robert Demers. His funeral will be held Tuesday, April 2, 2019 from the Boucher Funeral Home, 272 Sayles Ave. Pascoag, at 10AM with a Mass of Christian Burial at 11AM in Our Lady of Good Help Church, 1063 Victory Hwy., Mapleville. Calling hours will be Monday from 4 to 7 PM in the funeral home. Burial will be held at a later date. In lieu of flowers, donations in his name may be made to the National Multiple Sclerosis Society, RI Chapter, 205 Hallene Rd, Suite 209, Warwick, RI 02886; Burrillville Animal Shelter, 105 Harrisville Main St., Harrisville, RI 02830; or any charity of your choosing. To send flowers or a remembrance gift to the family of Thomas E. Demers, please visit our Tribute Store. "Email Address" would like to share the life celebration of Thomas E. Demers. Click on the "link" to go to share a favorite memory or leave a condolence message for the family.